I can’t believe December is literally racing around the corner. This weekend a friend suggested I write something about Christmas gift ideas for kids. You know, the gifts that will actually hold the children’s interest and survive more than a week or two of playing. Classic toys that have proven to be fun and timeless. Obviously what we moms need is more TIME. I hear time makes a great stocking stuffer, gift certificate and looks great wrapped under the tree. Right. Okay, in lieu of actually doing the work of creating a gift idea blog myself, I figured I would share what I’ve found online. I’m not ruling out the idea of generating my own Christmas treasure blog, but for now, let’s steal from others. Of course, games are ALWAYS a hit in our family. Not Made In China – you’ll love this, a blog dedicated to toys and other products that are NOT made in China. As toy recalls continue to mount up, it’s nice to know there are other options available. Holiday Gift Guide – this blogging mother of seven shares some great ideas for Christmas. Christmas Shopping Carnival – this blog post has links to 70 other blogs (each one opens in a separate window) where people share what they are buying this year. If you have time (there’s that word again), you might enjoy browsing through some of the blogs and see if anything inspires you. Christmas Books – a homeschooling friend has a collection of favorite Christmas books (complete with cover shots) on her blog. I saw some old family treasures as well as some new ones I’m eager to read. Christmas Countdown – this website helps you get organized and enjoy a stress-free Christmas. 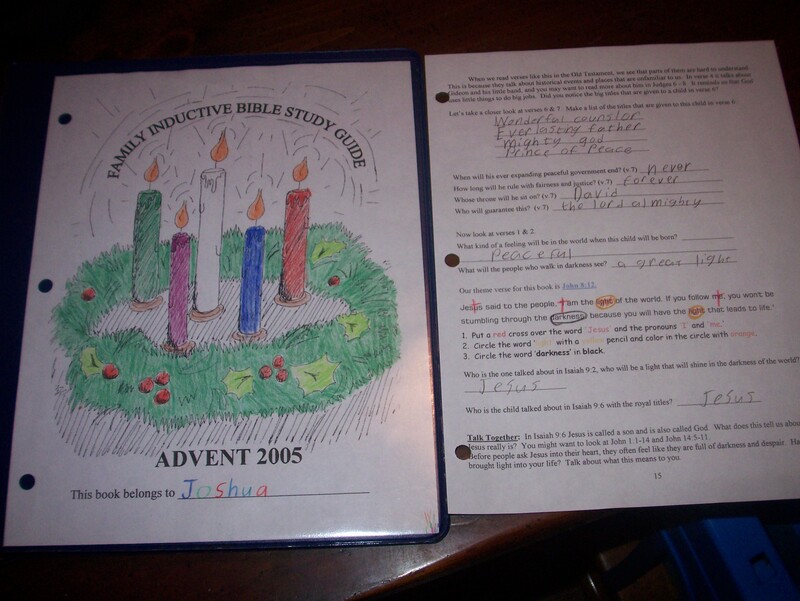 Advent Bible Study for Children – this is a wonderful, inductive Advent Bible study. I have done it several years with the older three children. There are coloring pages, scripture passages to study, and questions to answer. Unusual and Unique Gift Items – cause you never know when you might want to buy someone a duct tape wallet. There you go, I’ve exhausted my knowledge on the subject of Christmas blogs. Now it’s up to you to share your creative ideas, favorite catalogs or blog links. This is a safe place to reveal gift purchases and secret plans, as I highly doubt your spouse or children will pop through and read the comments. What is your favorite children’s gift idea for this year? What about for your husband or wife? Grandparents? I have an EMPTY gift closet so I can use all the suggestions I can get. Hi, almost 6 yr. old Anna May Snider got the old magic 8 ball last weekend and has played constantly with it. My favorite- after : is my dog black? yes. Does my mommy love me? yes, definitely. My husband changed jobs about 6 weeks ago, and now has a 45 min. to 1 hour commute one way, so I got him the Bible on CD for him to listen to on the way to and from work. For my kids, I like to get Adventures in Odyssey CDs for them all to share. Where possible, I prefer gifts-to-be-used over gifts-to-have-or-display, and I prefer gifts-to-build-with (like Legos or K’Nex) over gifts-to-play-with. Gifts (like board and card games) that involve others are better than gifts to use alone, but you can never go wrong with a good book (or a cool new computer game). As our house bulges with the accumulated stuff of seven people, I prefer (for my children) small gifts (like DVDs) to large gifts (like aircraft carriers), and quiet gifts (like a set of colored pencils) to noisy gifts (like a drum set). One year my Mom asked for our family to do a charitable project as our gift to her — we ended up doing several different things and chronicling them in a report (complete with pictures) — that was a pretty good gift. One of the best toys ever for young toddlers is this cool “pound a ball with a hammer” toy — our kids had hours of fun with it. Of course, you can never go wrong with a jar of Nutella in a stocking, hint, hint. I like the Advent one. I think that’s one we’ll actually do. And I checked the not made in China blog. It’s nice to have a choice if that’s important to you. For one person I got a devotional book and a custom-made bookmark. I got books for my young cousins from Discovery Toys as a safer alternative to lead toys. After our conversation about this gift idea blog over the weekend, and perusing all the catalogs again trying to ‘wrap up’ our Christmas shopping, I started to make a new list to email to you:) Obviously, I didn’t get very far, but at least its a start. They make several sets of these but this basic set has served our four children well for the last seven years and fits neatly in a plastic shoe box. Along with Tim’s line of thinking, our boys are getting pretend play clothes this year… super hero capes, etc. Santa’s workshop may be producing a tool bench or kitchen so they can “help” Mama and Daddy when the mood or inspiration strikes. We prefer not to let the toys take over the house (a constant challenge!) so books and money for the college fund are always good bets in our family, too. As Pam’s comment reminds me, perhaps the best ‘bang for the buck’ we’ve had (in terms of gifts for our children) has been Playmobil figures, vehicles, animals and structures. Our older kids still play with ‘em, and they’re fun even for three- and four-year olds. Playmobil used to be hard to find, but not so anymore. Hobbies and crafts can be great, if your children are at all crafty. Joshua has greatly enjoyed some of the woodcarving tools and supplies he has received in the past, and we’ve all had fun with wood-burning and stencils. We also love Playmobil and LEGOS! Oh my! With a houseful of boys, you can NEVER have too many legos. We have a few items from http://www.visionforum.com and my niece’s and nephews are new Christians. We are buying the daily chronological devotional bibles for Christmas. I am still trying to get my side of the family to do a totally HOMEMADE christmas but no one is buying it yet. I have also given two Genealogy scrapbooks to my dad and FIL for Christmas! Drawing and artsy supplies I think have been given every Christmas at our house, and with the exception of last year, dress up materials. 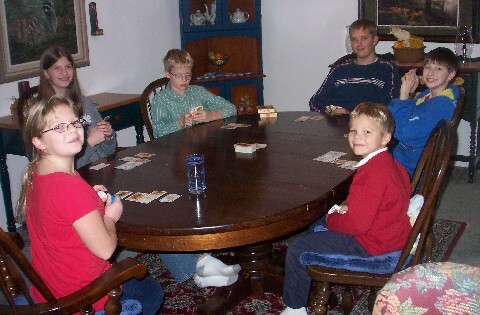 That was such a favorite game with all 3 kids. Dress up stuff is easily and cheaply bought and can be used for just play, costumes for various events and pure silliness. One of the best gifts our kids ever got was from my dad and stepmom. They bought a treasure chest shaped tote and put a wonderful assortment of dress up items in it, for both boys and girls, and of course left room for us to fill too. We still have that tote, and have passed the dress up goodies to my nieces and nephew who, as my sister tells me, play constantly with them. I do agree with Tim, Nutella makes a fine stocking stuffer, or present, in a big enough jar! Or does it even need being said, Dove chocolate?! A useful round up of sites, Kathy. Hmm, some great ideas, Kathy. What a great range of resources that you pulled together. Thanks. I know a 10 year old boy that loves to draw. This year I am giving him a lot of drawing pads, pencils, colored pencils, erasers, and a book on how to draw/ I also bought a plastic box to put all those drawing supplies in. I know he will love it. Great tip! I visited the Christmas Carnival, too and found some great sites to look into. One thing I noted in my Google notebook was to do surprise someone who needs a little extra love this Advent with the 12 Days of Christmas tradition. I think the children will really get excited about it and it will help them with the “it’s better to give than receive” idea! Sorry I don’t know how to hyperlink in this! I am going to check out your links! I don’t have a favorite gift yet. Thanks for including the Advent study Kathy – I was looking for something like this! Witness Wear – good for any age, including adults. Tshirts, Sweatshirts, Baseball Hats, etc. with scripture on it or a message. GOOD quality tools, kitchen utensils, etc. 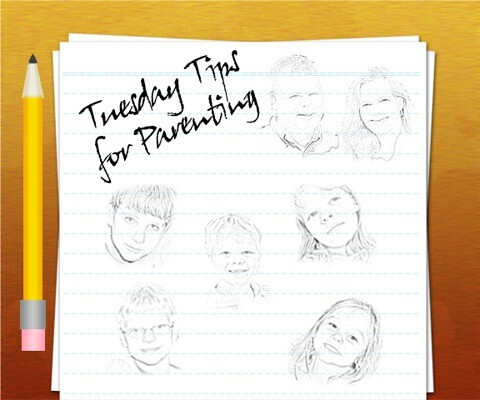 that can be used now and then move into their adult life with them. Doctor Kit – we went through two of these sets with our older children and now our younger children are asking for one for Christmas. You can find these anywhere from $10-$50, Walmart has two different kits available now for $10 ea. We have also purchased working stethoscopes for our children (I don’t remember where we ordered them from, I’m thinking it was Toys to Grow on? the price was around $12). Toy Cash Register - these range in price from $10 – $60, we bought one when our 12 yr old was 5 and it took several years for our children to literally wear it out. Our current 5 yr old wanted one for Christmas last year and it is still a hit.